The government‘s Child Dental Benefits Schedule (CDBS) is available to eligible children between the ages of 2 and 17, and in place to help younger patients and their parents take good care of their teeth while lessening the financial burden of dental care. 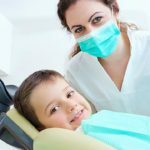 In this article we will take a closer look at the benefits offered by the kids dental schedule and why they are important for growing children. Wearing clear braces offers so many benefits but keeping them invisible requires that you to know how to clean Invisalign braces properly. By maintaining your braces according to your dentist’s instructions you can ensure they stay clean, odour-free and free of bacteria build-up. 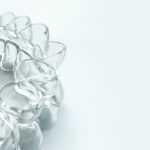 Here are our tips on how to clean Invisalign. Before we know how to get healthy gums, it’s important that we understand that healthy gums are absolutely vital if you want healthy teeth. As such, you really can’t have one without the other. Yet and surprisingly, gums are often neglected in our normal daily cleaning routine. Unfortunately, unhealthy gums can actually lead to all sorts of problems including gum irritation, bleeding, and damage to supporting bone tissue, eventually leading to tooth loss. That’s the bad news. The good news, however, is that getting healthy gums isn’t actually that difficult. Kids Grinding Teeth In Sleep – Is Bruxism Harmful For My toddler? Kids grinding teeth in sleep is a subject that’s often under discussion with first-time mums. Perhaps you’ve noticed that your toddler is constantly moving his or her mouth while asleep and you may have noticed a grinding noise when their teeth meet. These are all common signs of teeth grinding in children. Bone grafting for dental implants may not be a topic you’re familiar with but if you’re seriously considering dental implants as a means of tooth replacement, then it’s a procedure that you ought at least to be aware of. One thing that could potentially prevent you from receiving dental implants is your bone – or rather the lack of it. Did you know that gingivitis is surprisingly common? In fact there’s a good chance you’ve either had it in the past, or are currently showing signs of gingivitis. Yet, because of the fact that symptoms are generally painless and mild, it often gets ignored. The issue with this strategy is that gingivitis is an early stage of gum disease and if left untreated, it can morph into full blown periodontal disease. Once that happens it can cause permanent long-term damage to teeth. That’s the bad news…. Hydrogen peroxide is one of those products that many people keep in their cabinets and is usually recognised by a brown bottle. While it has a wide number of uses from a disinfectant and antiseptic, through to an upholstery cleaner and hair lightener, one of its main uses is for teeth whitening.